12.00€ Bottle 75 cl Tax incl. II. ALCOHOLIC GRADE: 12% Vol. III. VINEYARDS AND HARVEST: The grapes come from the vineyards owned by the winery in the municipality of Grávalos, south of Monte Yerga in the foothills of the Iberian Mountain Range at an altitude between 700 – 800 meters above sea level. A very high area in which fresh wines are obtained with low alcohol content, with very fine and elegant aromas. The Chardonnay variety is harvested on the second or third week of September. It is made by hand, selecting the grapes, avoiding any deteriorated grapes or those that do not comply with the quality required to make our cavas. shall be used to produce’ Dioro Baco’. The must will make the first fermentation in stainless steel tanks at a low temperature of over 14ºC. At the beginning of spring, once cleaned, the wine will make the second fermentation inside the bottle, remaining in ageing for at least 48 months. V. TASTING: Wonderful effervescence with elegant flow of fine and persistent bubbles. Aromas of ripe fruit, nuts and honey. 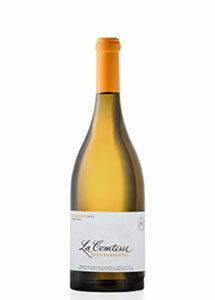 Tasty and powerful, dry and with good acidity giving it a special touch of freshness. Persistent in the mouth and with a final honey flavour. VI. RECOMMENDED DISHES: Hot and cold starters. Oysters. Hunting. Fresh foie gras. It can accompany all the food.